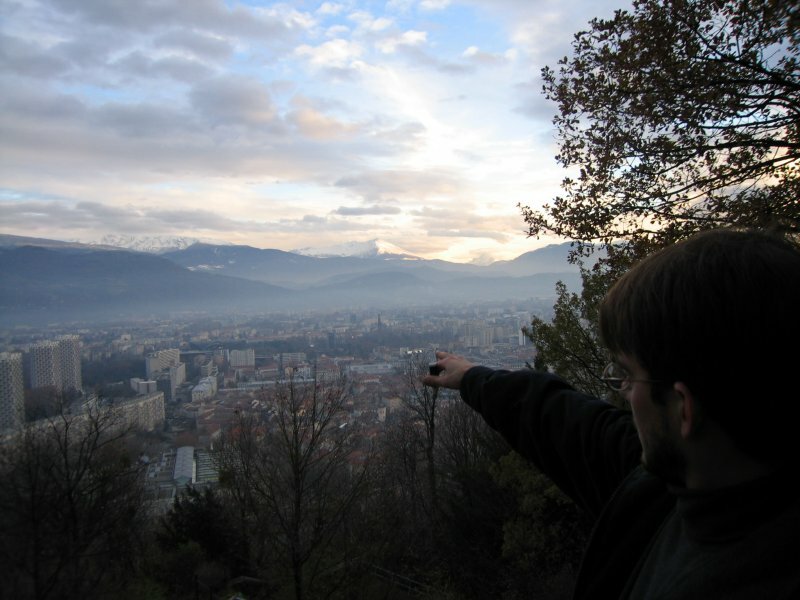 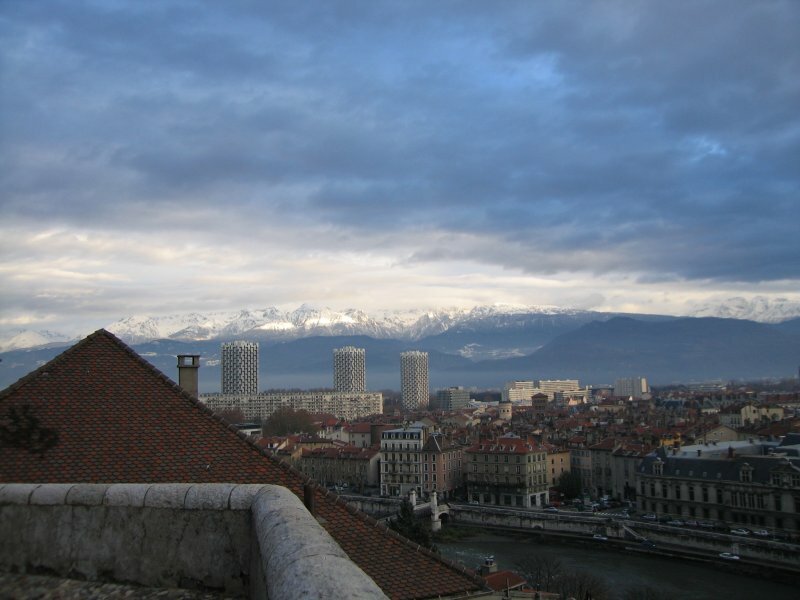 Dec 2005 - Before Court returned to the US, we were able to visit him in Grenoble where he had been staying for the past year. 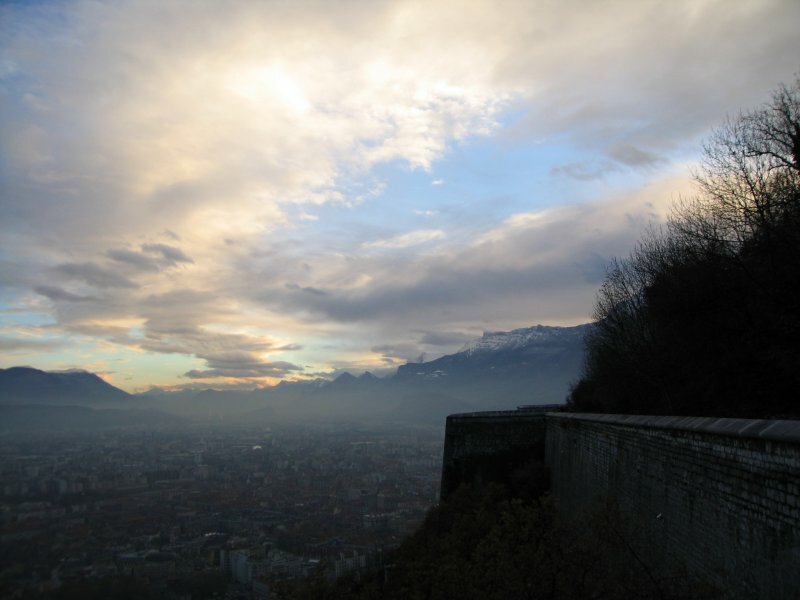 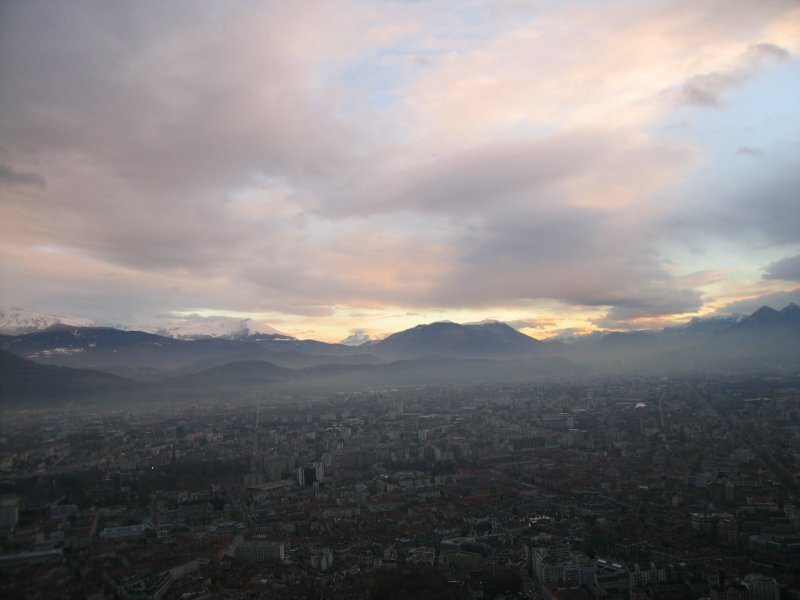 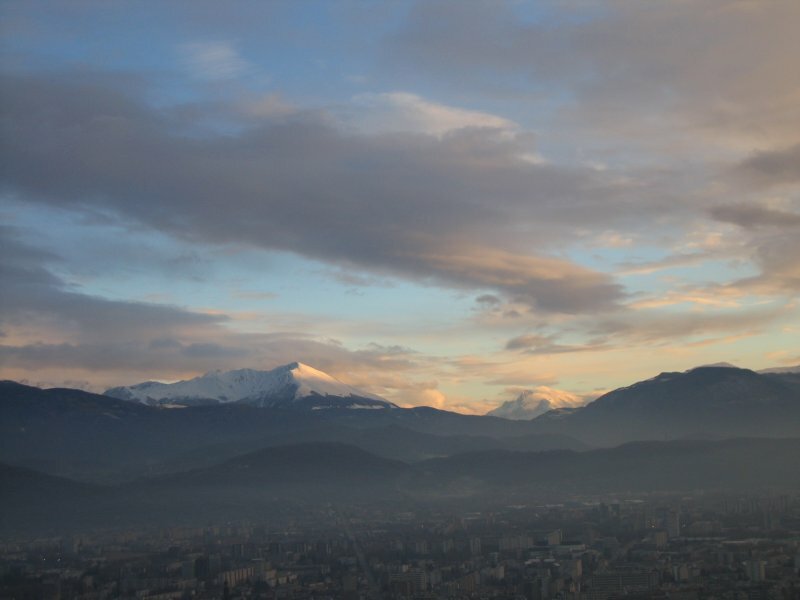 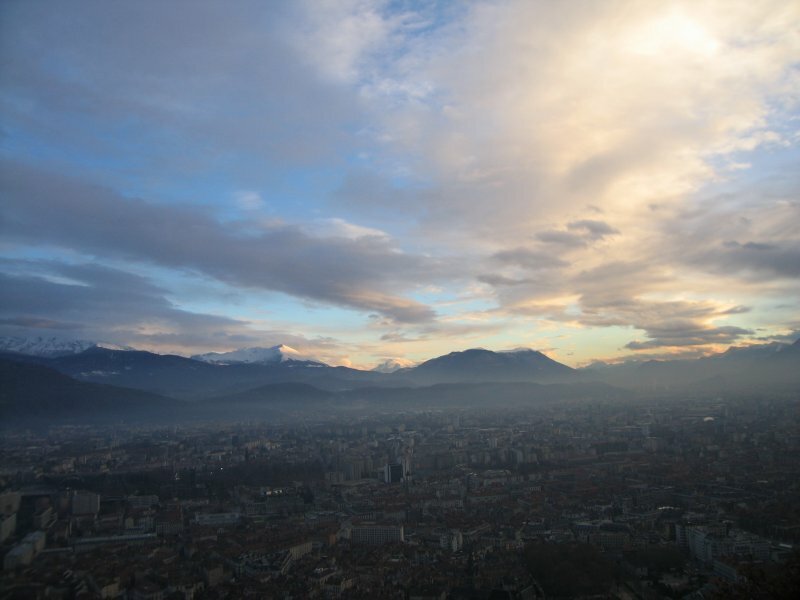 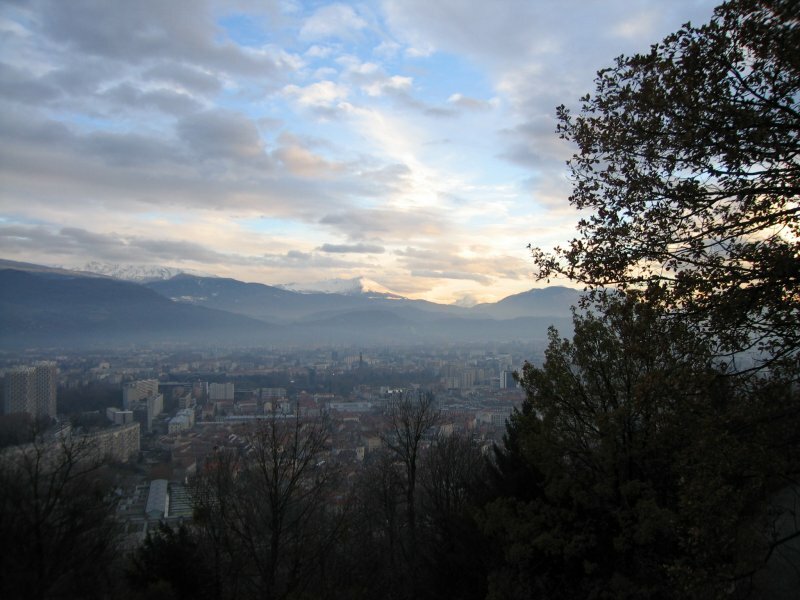 The day we arrived, we hiked up to the top of Grenoble's bastille for views of the city and the Alps, where Court pointed out the hightlights. 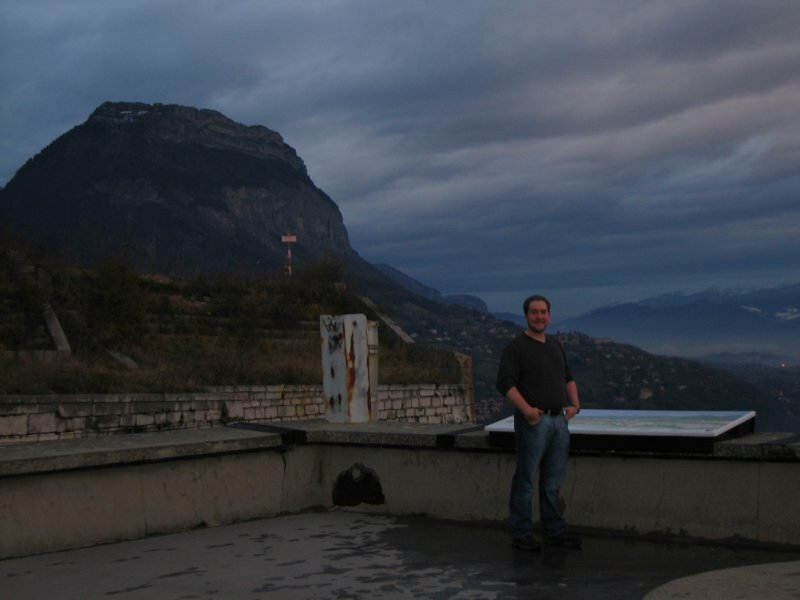 In the third picture, Paul shows off his new hiking boots and imperviousness to the cold. 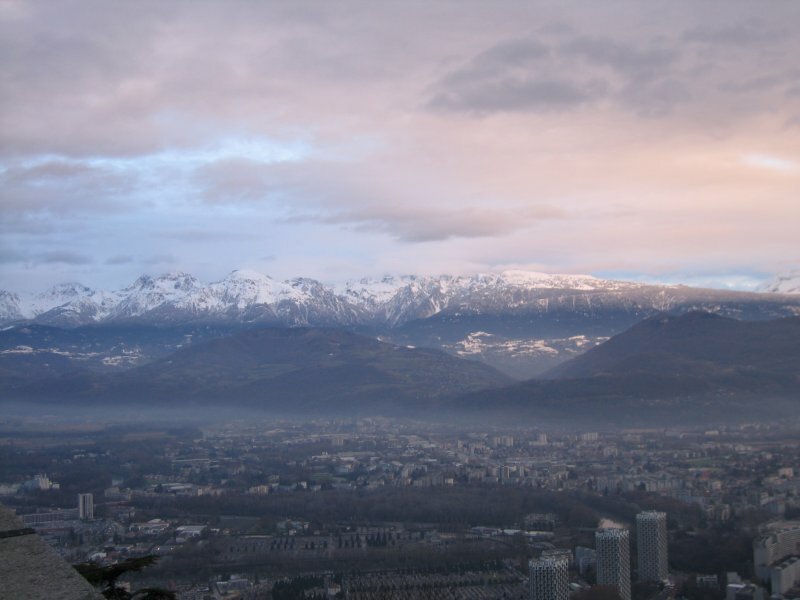 Originally we had planned to go snow-shoeing in the Alps (hence the new boots), but the weather was actually too warm and much of the snow had melted. 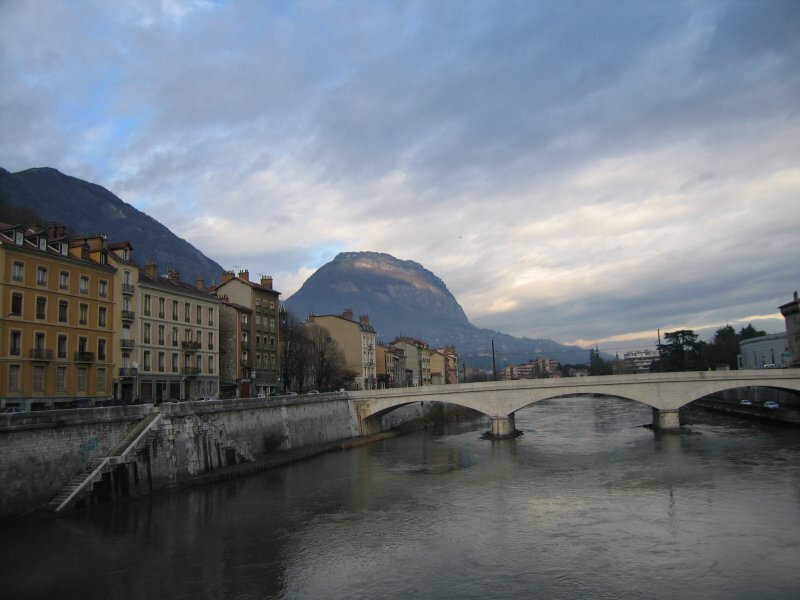 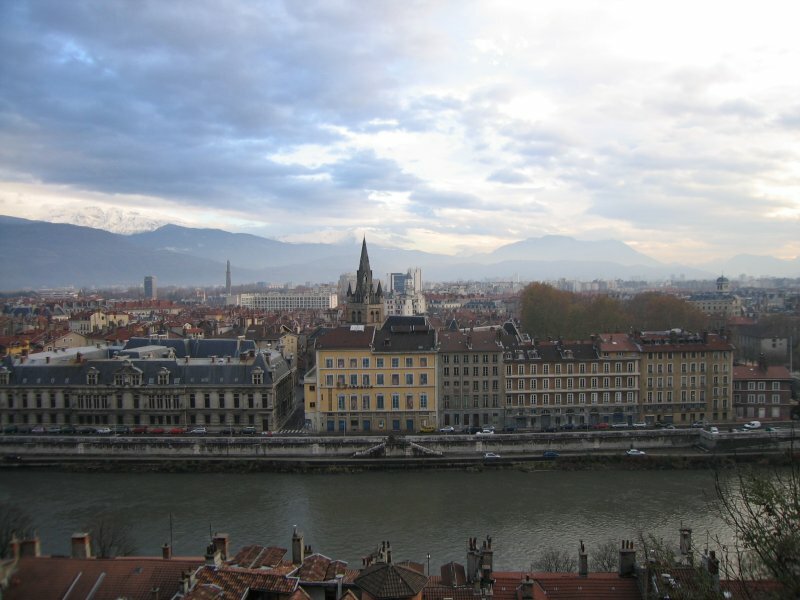 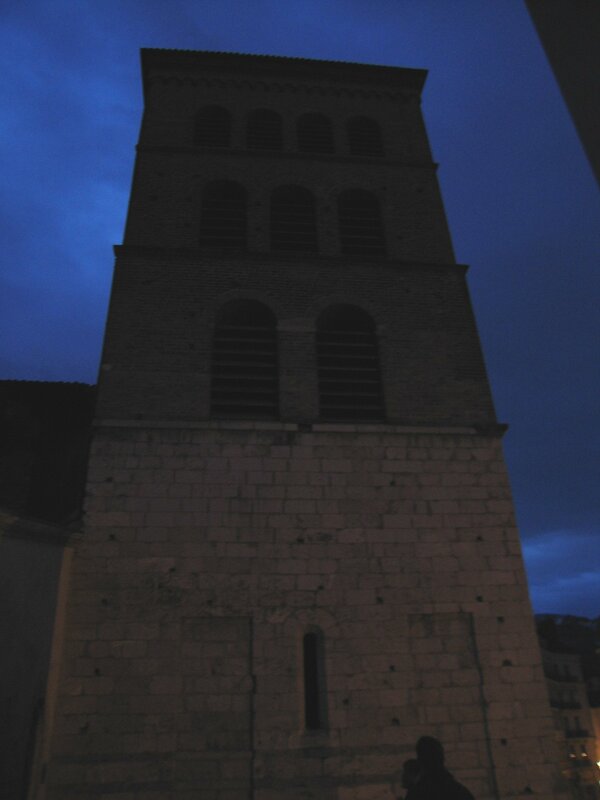 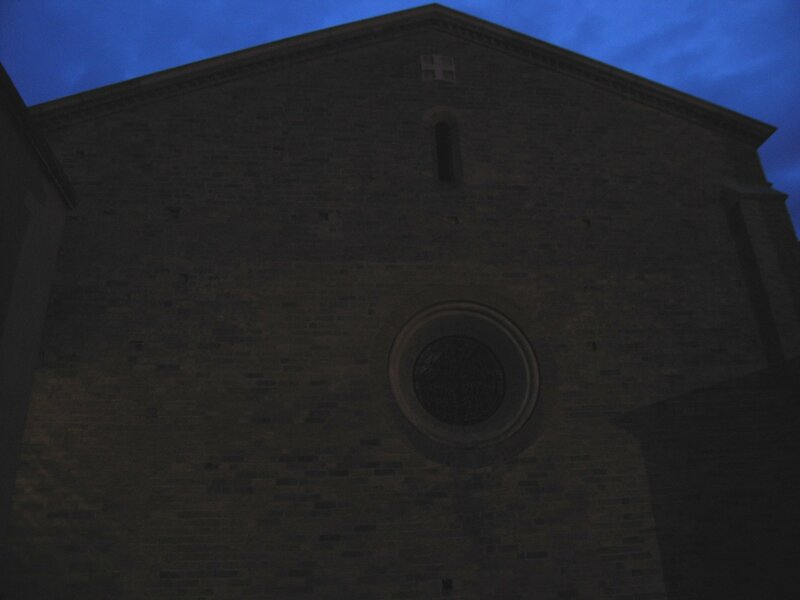 There have been excavations under the cathedral of Grenoble which uncovered an ancient baptistry. 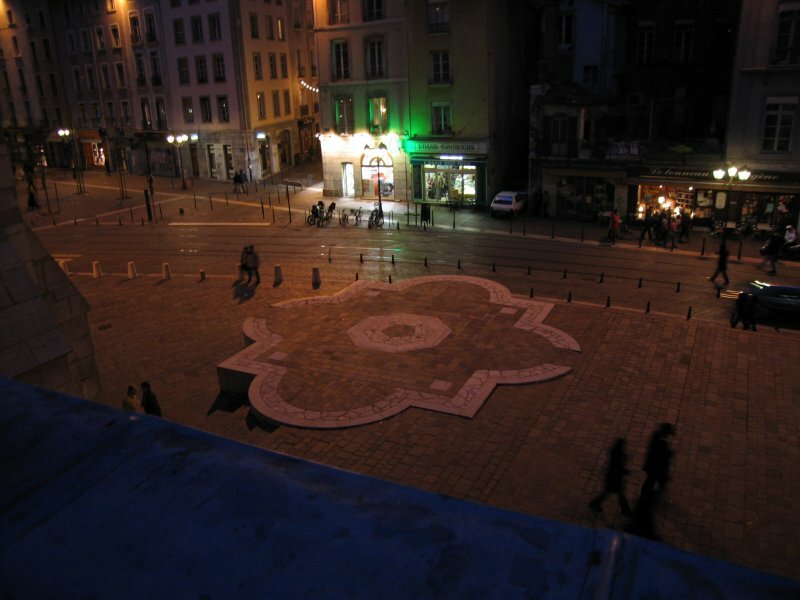 The outline of the site is shown on the pavement outside the cathedral. 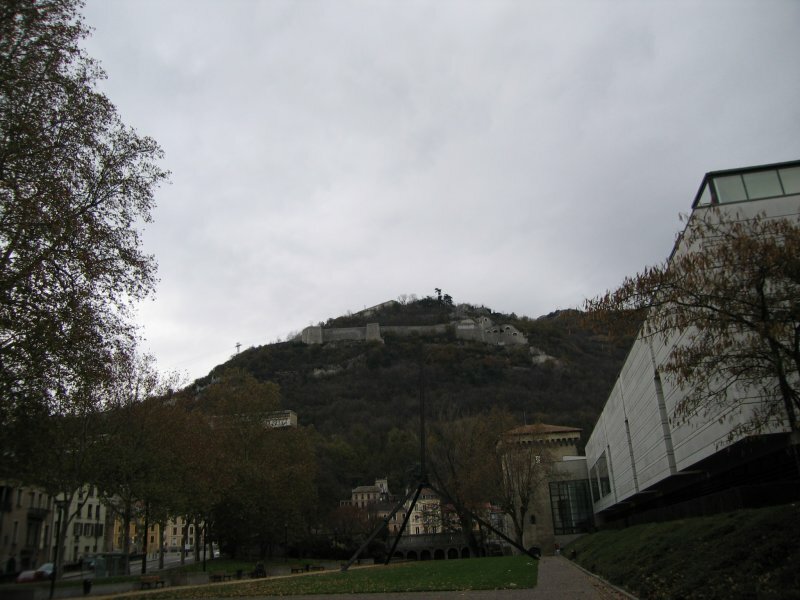 We were able to go into the museum and see the excavations, but we were only able to take pictures from the balcony outside. 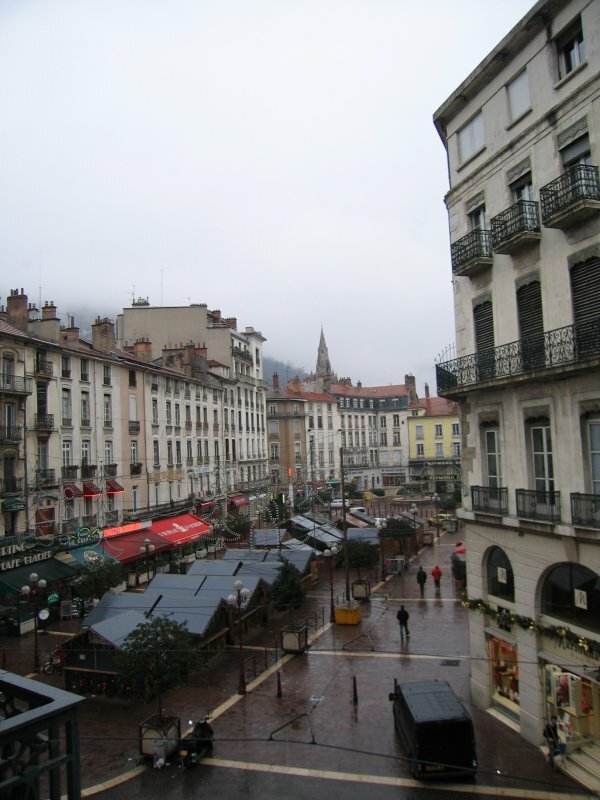 As it was December, the city was full of Christmas markets, like this one outside our hotel.